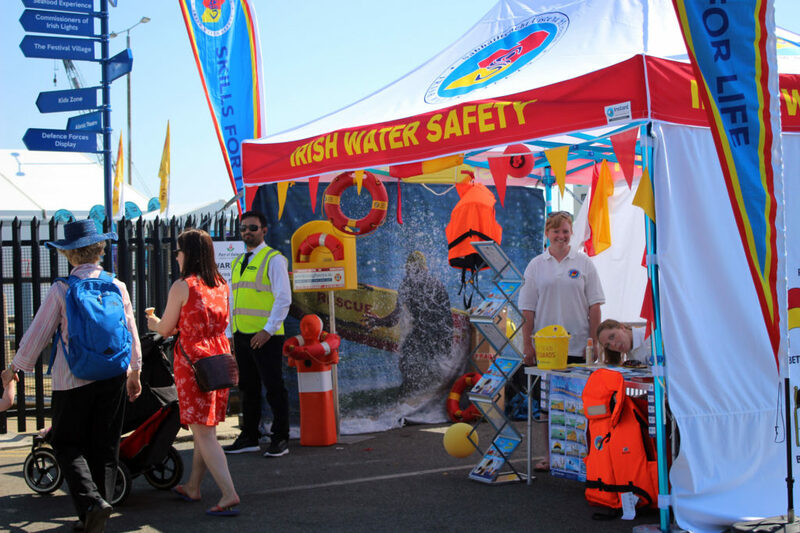 Thirty-six lives were saved from drowning by rescuers who will receive recognition at Irish Water Safety’s National Awards Ceremony at the Hibernia Conference Centre, Dublin Castle on Wednesday. Mr Seán Canney TD, Minister of State at the Department of Rural & Community Development will present the “Seiko Just in Time Rescue Award” to the rescuers in appreciation for saving so many lives. ‘It is an honour to pay tribute to these courageous recipients. Long-Service Volunteer Awards will also be presented to 63 volunteers, recognising a combined total of 1,315 years of service teaching swimming, water rescue and survival skills in communities nationwide. Recipients of the “SEIKO Just In Time Award”: Presented to those who came to the assistance of person(s) in difficulty in water and in danger of drowning. On the 27th of September 2017 in Butlerstown, Co. Waterford, a man was driving along the N25 in treacherous conditions when he suddenly lost control of his car and veered off the road, crashing down a ravine and landing upside down in a deep stream. Kelvin happened to be on route to Kileaden when he saw an unusual site at the side of the road. He pulled into a lay-by and quickly ran to the scene where someone had already called emergency services. He ran back to his car to grab a nail bar in case the door of the car was jammed shut. He jumped in the water and got the car door open. From the passenger’s side he reached in but couldn’t feel anyone in the car. He resurfaced and then went back down into the water and searched the back of the car. Initially he could not see anybody, and then he noticed a man’s hand floating in the water – he had managed to remove his seatbelt. Kelvin reached over and grabbed hold of the man and pulled him out of the car but he was unable to pull him fully to safety due to the position of the car. He was forced instead to hold him up for as long as it took the emergency services to arrive. On Sunday the 12th August while on holiday in Portugal, 8-year-old Finn noticed a 3-year-old boy in difficulty in the pool. He immediately entered the water and pulled the boy up from the bottom of the pool. Finn kept reassuring the boy even though he did not speak English. Young Finn displayed alertness, initiative and quick thinking. On the 12th of February 2009, at the harbour at Lake O’Flynn, Ballinlough, Co. Roscommon, Garda Gilmore was informed that a car had plunged into the water. He immediately entered the freezing cold water and swam approximately 40 ft. to the car. He then forced open the driver’s door. The water was very dark so he had to feel around to locate the driver. He located the unconscious driver and removed her from the car. Using his lifesaving knowledge and skills, he brought her up to the surface and swam to the water’s edge – keeping her head above water throughout. At this point, Garda McDonagh was on hand to help him take the woman out of the water to safety. The woman made a full recovery. On the 28th of January at Derrycreevey, Co. Monaghan, Garda Murphy was on patrol in the area when she was stopped by a person who alerted her to a car that had crashed over a wall into a flooded area. Garda Murphy reacted quickly and grabbed some golf clubs from the crashed car to judge the depth of the water. She then proceeded to wade out to the person in the water. Upon reaching the woman she discovered that she was motionless. Garda Murphy managed to pull her back to shore where she successfully performed CPR on her. On the 27th of August on Wooden Bridge Road, Boyle, Co. Roscommon, both Robert Browne and Garda Barron managed to pull two occupants out of a car that had entered the river and landed on its roof. Upon reaching the car, they broke the back window and successfully pulled the occupants out of the car and brought them to safety. On the 1st of January at Low Rock, Malahide, Co. Dublin, Helen was swimming with a friend. When she got to shore, she turned around to find her friend in difficulty. She immediately ran back into the water and called for help. Simon observed what was happening and quickly entered the water to help. Meanwhile, Helen had reached her friend and realised she was unconscious and found it difficult to turn her over. Upon reaching Helen and her friend, Simon managed to turn the casualty over onto his back. Both Helen and Simon managed to bring the casualty to safety where CPR was performed by Niall. The casualty made a full recovery. On the 2nd of July at Duncannon Beach, Co. Wexford, on a family day out, Tomek’s twin daughters were playing on an inflated floatable device at the edge of the shore when the wind caught the device and swept them further out. Tomek immediately swam after it and one of his daughters jumped towards him. Hugh Burke, who received a call about this incident, immediately got his boat and went to the scene, as did Brendan Butler and Eamon Doyle. Hugh Burke took the remaining girl from the inflated floatable device. Meanwhile, another person entered the water to take the first daughter from the father and brought her to shore. He then returned to the water to go back for Tomek but got into difficulty himself. Meanwhile, John Byrne, who has lifesaving skills and training, entered the water with two ringbuoy’s. He swam to the man in difficulty and gave him a ringbuoy and then proceeded to swim towards Tomek to bring him safely to shore. John re-entered the water and managed to bring the man with the other ring buoy to shore. On the 8th of May 2016 at the pier in Buncranna, Co. Donegal, Gardaí McClafferty, Kenny and McHugh arrived at the scene where a man was in distress in the water. They immediately made a human chain and swam out to the casualty. The casualty was going under the water due to cold shock. They eventually reached him and pulled him back to the pier to safety. On Sunday the 28th of October on the River Corrib, Co. Galway, teenagers Sean, Niall, Samuel, Dara and Brendan were alerted to a person in distress in the water by onlookers on the shore while they were on route to tie up the Rigid Inflatable Boat (RIB) they were in. Sean Oliver and his four friends in fast flowing conditions in the river immediately went to find the person in danger. Once they located the person they made their approach and managed to pull the man on board the boat to safety. Martin Cullinane saved two young brothers from drowning and became the face of an Irish Water Safety campaign this summer to create awareness about the dangers of drowning. Martin did not hesitate when he saw the boys, aged five and six, struggling in the dangerous tidal waters at Mariner’s Quay in Passage West, Co. Cork. The younger of the two boys was floating lifelessly a good distance away from his brother. There is considerable ship traffic passing through Cork Harbour which creates swells that can be extremely dangerous if people are swimming there. It was getting dark. The drop to the water was about 12 ft. Martin dived in and saved the first boy who clung to Martin’s leg terrified. The second boy was lifeless and had foam coming from his mouth. Martin turned him over to extract what he described as “an unbelievable amount of water”. The campaign which was viewed over 350,000 times online sees Martin appeal to parents to ensure that their children learn swimming and lifesaving skills at the earliest opportunity. On the 25th of July at the River Barrow, Co. Carlow, Bébhinn was alerted that her Aunt had gotten into difficulty in the water. Bébhinn entered the water and swam quickly towards her Aunt. Upon reaching her Aunt, Bébhinn called out to another person to call emergency services. She held onto her Aunt which gripping the river bank for some time. Béibinn continued to reassure her Aunt as she drifted in and out of consciousness. Meanwhile, she called to her cousin to carefully enter the water and place an inflated lifejacket on her Aunt. She then placed her Aunt onto her back and proceeded to bring her to the top of the river where the ambulance crew were waiting. Her Aunt managed to reach up and grab the hands of ambulance crew and they pulled her out of the water to safety with the help of a lifeguard. On Sunday the 27th of May at Bundoran beach, Co. Donegal, Gerard was on his lunch break when he sighted three people in difficulty in the water (an adult, a teenager and an 11-year-old boy). He immediately ran down onto the rocks and, after quickly assessing the situation, swam out towards them. By instructing both the teenager and the young boy to grab hold of a ring buoy he was able to bring them both to shore, where he stayed with them until the ambulance services arrived and subsequently took over. Meanwhile, the RNLI had arrived and assisted the adult and successfully brought him to safety. All three made a full recovery. On the 28th of June at Lough Corrib, Co. Galway, Ger Henehan and Alan Duggan were approached by a man who asked for help after his wife, Brigit Lochmann, got into difficulty in the water. They entered the water immediately and reached the woman, bringing her swiftly to safety. On the 8th November 2015 at Coal Quay Pier, Dun Laoghaire Harbour, Co. Dublin, Garda Murtagh received a call regarding a person in distress. He alerted Sgt Mulhall and Garda Fleet and they both went to the scene. Both Gardaí waded into the water holding onto a mooring rope and pulled the casualty out of the water to safety. On the 7th of September 2017, Tony was walking along Dun Laoghaire East Pier in Dublin when he noticed a man in distress in the water. He immediately ran to fetch a lifebuoy and upon his return to the area, the man was desperately holding onto rocks. Tony entered the water and managed to bring the man to shore. Emergency services arrived to the scene and took the casualty to hospital, where he made a full recovery. On the evening of the 10th of May at St Patricks Quay, Co. Cork, Dianna observed a man unconscious in the water. She immediately entered the water and swam to the casualty. Garda O’Sullivan arrived to the scene and entered the water by climbing down a rusty ladder. He assisted Dianna and they both held onto the casualty for twenty minutes until emergency services arrived. The man was brought to safety and after a number of weeks made a full recovery. On the 11th of July at the River Suir, near Rice bridge, Co. Waterford, a woman was in distress in the water. Aiden came upon the scene and immediately went in search of a ring buoy. Upon retrieving a ring buoy, he entered the water and swam to the woman. He managed to grab hold of her hand and spoke to her in an effort to keep her calm. After approximately 15 minutes, the Waterford river rescue boat arrived and took both Aiden and the woman on board. On the 6th of May 2016, Gardaí in Monaghan received a call regarding a woman in distress. Upon reaching Peter’s lake, Garda Leane spotted the woman and immediately entered the water. Gardaí Butler, Garda Kenny and Sgt Leech also entered the water to help with the rescue. On the 23rd of December 2017 at Dun Laoghaire Harbour, Co. Dublin, both Brian and Paul responded to calls for help from the public regarding two people in distress in the water. They immediately entered the water and stabilised both casualties. They were brought to safety and made a full recovery. On the 6th of August, Gardaí Bolger and Morrissey arrived to Gashouse Bridge on the River Suir in South Tipperary where a man was in distress in the water. They both tried to remove the male from the water by using a ring buoy but were unsuccessful. Garda Bolger immediately entered the water and held onto the casualty until the arrival of the fire brigade unit. He provided first aid to the person while in the water and, assisted by Garda Morrissey and the fire brigade unit, brought the person to safety. The person made a full recovery. On the 10th of June at Lannigan Lough, Co. Carlow, Garda Kelly observed a female in distress in the water. He immediately obtained a ring buoy and entered the river. He proceeded to swim to the other side of the river to reach the female. He managed to support the woman in the water until the rescue boat arrived. On the 6th of May at the forty-foot bathing area in Dun Laoghaire, Co. Dublin, Gardaí Whitney and Fitzgerald observed a female in distress in the water. 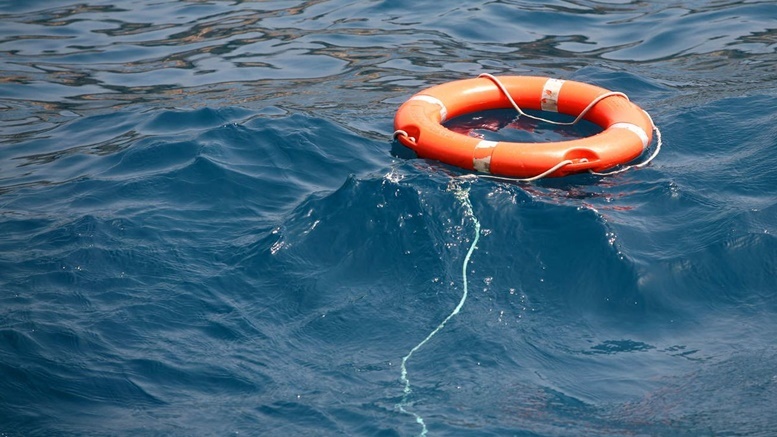 Garda Fitzgerald threw a ring buoy to the woman in an attempt to rescue her. This was unsuccessful so he contacted the fire services and coastguard by radio. Garda Whitney entered the water with another ring buoy and proceeded to swim towards the female. He placed the ring buoy on her and swam with her to the nearby rocks while being towed in by the rope from the ring buoy by Garda Fitzgerald. The female was removed from the water. On Saturday the 13th of August 2016, Michael and his family were at the beach when a woman approached to ask if he could swim. She explained that a boy was having difficulty in the water and his mother was attempting to rescue him. When Michael reached them he noticed another man with the boy in distress also. Michael managed to bring all three to safety. They all made a full recovery.